To be honest, I came across ZOCA as a result of feeling isolated. I had recently moved with my young family to a new city, new country, new continent…heck a new planet as far as I was concerned. I was struggling big time to fit into my new life in Zambia. I felt totally out of place because I didn't understand how things worked (culturally or logistically) and I was frustrated by why a lot of things didn't work — the internet, electricity — you name it, it didn’t work! I quickly discovered that Zambia is quite conservative: For example, being married with two young girls, not much more was expected of me apart from caring for my husband and, oh yes, trying to have a boy (as I have been told). Having said that, because I’m classified as ‘foreign' here in Zed (as we call it fondly), my views on female independence and empowerment within society are excused, as these are sometimes viewed as being imported from the West. If we accept that gender is a social construct that outlines the roles, behaviours, activities and attributes that a particular society believes are appropriate for men and women, then the assignment of these roles and adoption of these traits can create gender inequities, or differences between men and women that systematically favour one group to the detriment of the other. Zambia has one of the highest child marriage rates in the world with 42 percent of women aged 20-24 years married by the age of 18 — a rate that hasn’t changed since 2002 (UNICEF 2015). In sub-Saharan Africa, 57 percent of those living with HIV are female and in South Africa, Zambia and Zimbabwe, young women aged 15–24 are three to six times more likely to be infected than young men of the same age group. Against that context, I am of Afro-Caribbean descent, born in Hong Kong, and have mixed race female children (no interest in trying for a boy, much to the horror of the locals). On top of that ethnic fusion specialty, add that I didn't want to stay at home all day and valued my independence and my own thoughts. Despite all of this, I was raised to show great respect to others and I will always acknowledge that. I have to respect the cultural norms and to a certain extent societal attitudes in a new country. With all these conflicting factors, I was finding it very hard to adjust and was beginning to think all was lost. Enter into the picture my sister-in-law and a new friend I connected with (who was also a newbie to Zambia) who helped me stumble across ZOCA. ZOCA is a highly effective and exhilarating workout aimed not only at improving strength, muscle tone and endurance but confidence and body image as well. In each class, the focus is on fun, freedom, escape and re-creating the feeling of Caribbean Carnival/African dance parties at the gym. ZOCA blends local beats with local and international dance styles. For me, something clicked. I had suddenly found my anchor, an interest that I absolutely love. Over the past two years I have been on journey from a shy uncoordinated outsider at the back of the class, to whooping in the front, to instructor, to ZOCA company director. 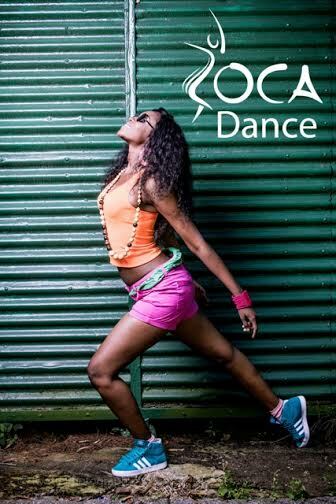 I truly believe ZOCA is more than just a dance fitness regime. It has transformative empowerment qualities as well. I’m ashamed to admit the money I have spent on countless unused annual membership subscriptions, simply because I psyched myself out of attending. When we feel we must adhere to the expected way of doing things, we create a mental expectation. Striving to fulfill these expectations causes pressure. This leads many women to view working out as a chore. ZOCA flips that principle by teaching skill-based moves that are challenging yet fun. This redirects the energy away from what your body looks like toward what it can do, which is a much healthier way to be keep fit and perceive one’s self. ZOCA is literally a lifeline for self-expression, it gives women and girls access to safe and sanctioned public spaces, allowing them to gather, develop social networks that extend beyond their families, discuss problems and enjoy freedom of movement on a regular basis. Clients often go through a process of learning to love and accept themselves, thereby developing a strong sense of empowerment. ZOCA empowers women and children to move their bodies because they want to, not because they are told to or forced to. Empowerment is so contagious — it’s something easily gifted through ZOCA an activity that we know and love. Call it extracurricular empowerment. In incorporating these concepts of community, variety and scalability to fitness, we can help make fitness more accessible to everyone and allow fitness to become the primer to inspire positive change in our world. How do I know this is real? Because I started off as an outsider in the back row, too. Now I’m all the way in front leading the charge, and I will not be moved back. READ NEXT: Is self-care a privileged act?